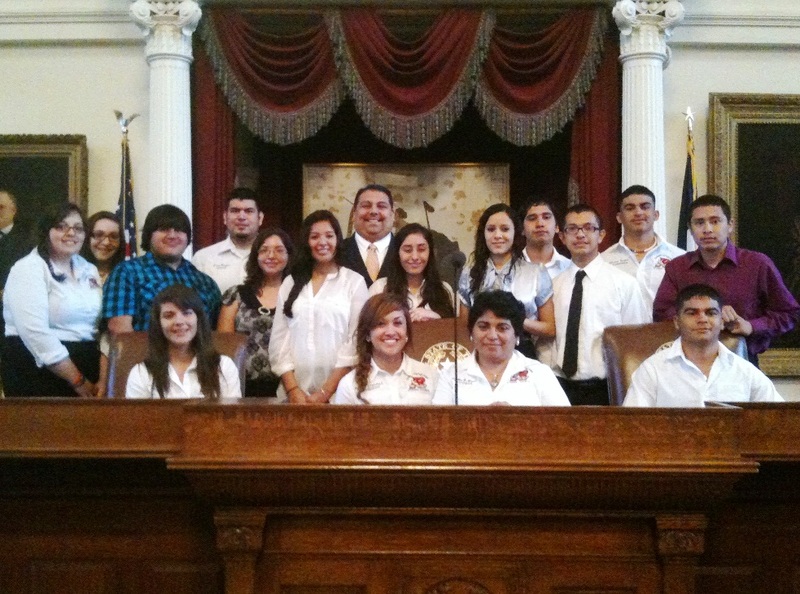 On April 30, State Representative Ryan Guillen welcomed Rio Grande City High School Student Council members to the Texas State Capitol during their visit to Austin. Rep. Guillen provided the young leaders with a detailed explanation of the process House members go through when voting on legislation. Later that day, he presented an honorary House gavel to the Student Council, commemorating their trip. Included in the photograph: Julio Villalobos, Jennifer Rodriguez, Noel Garcia, Rodrigo Renteria III, Savannah Saenz, Aaron Reyna, Monica J. Coronel, Adrian Reyna, Brittney Salinas, Karina Segovia, Lisette Segovia, Julissa Peña, Amber Pratt, Jose Luis Perez, high school advisor Omar Riojas, and Student Council sponsor Cynthia Alaniz.